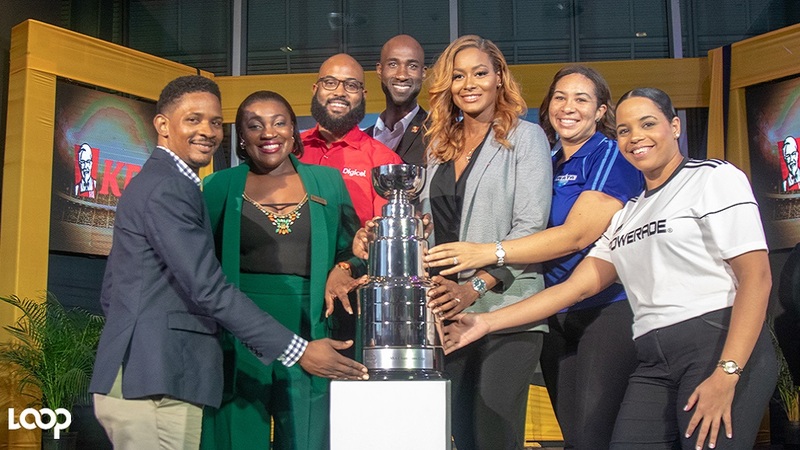 ISSA Champions Cup sponsors pose with the coveted trophy (from left) Matthew Samuels, product manager, Cetamol; Marsha Lumley, head of marketing, Trade Winds; Andrew Brown, sponsorship manager at Digicel; Andrei Roper, brand manager, KFC; Tanya Lee, vice-president of marketing, SportsMax; Wata's Brand Coordinator Chrys-Ann Gordon; and Amoye Phillpotts-Brown, brand manager of Powerade during the launch at Digicel headquarters in downtown Kingston on Wednesday. (PHOTOS Shawn Barnes). 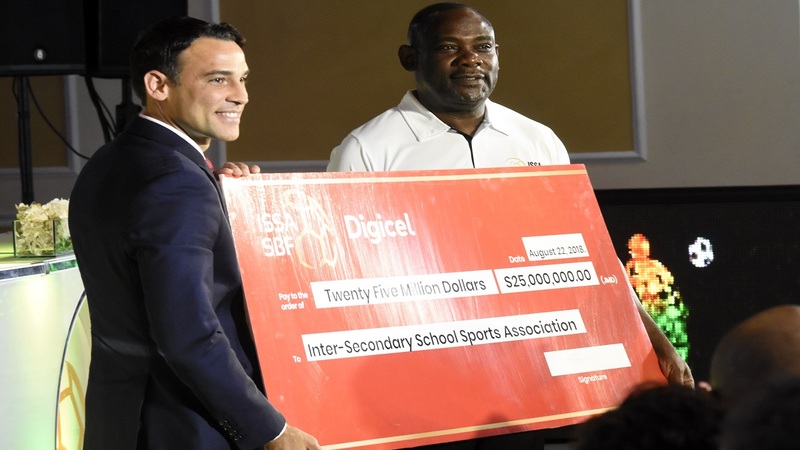 Kingston College (KC) will begin the defence of the ISSA all-island Champions Cup against St Elizabeth Technical High School (STETHS) when the competition kicks off on Friday with a doubleheader at Sabina Park. The match, which is a repeat of last season’s final, is the second game of the doubleheader and is scheduled to kick off at 7:00 pm. St George’s College, which won the inaugural title in 2014, and Garvey Maceo will contest the opening game of the season at 5:00 pm. The remaining six games in the first round will take place on Saturday with doubleheaders at three venues – Catherine Hall Complex, STETHS and Stadium East. Over at Catherine Hall Complex, Frome Technical and Camperdown High will face off at 4:00 pm, while Cornwall College will take on 2015 champions Wolmer’s Boys at 6:00 pm. Over at STETHS, Manchester High and St Andrew Technical High School (STATHS) will clash at 4:00 pm, while Clarendon College and Charlie Smith High will face off at 6:00 pm. And over at Stadium East, Dinthill Technical will take on Holy Trinity High at 4:00 pm, while 2016 winners Jamaica College will tackle Mile Gully High at 6:00 pm. 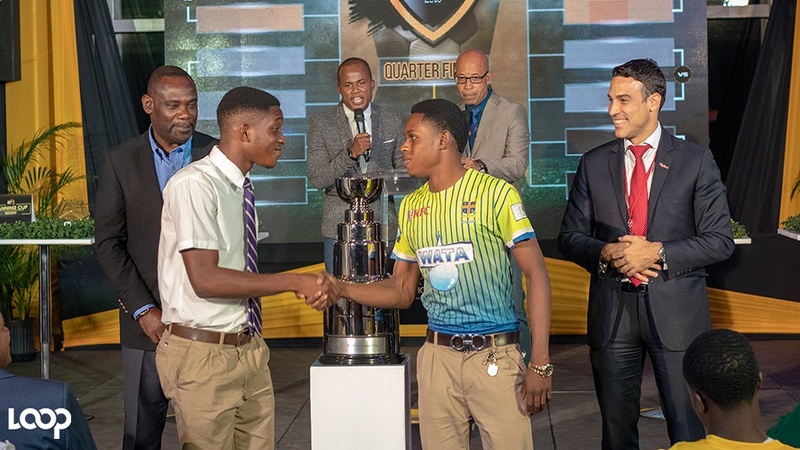 The Champions Cup features the eight teams that won their second round Manning Cup two-way play-off games and the eight teams that finished as winners and runners-up in their respective daCosta Cup quarterfinals groups. The KC, STETHS game should be interesting. 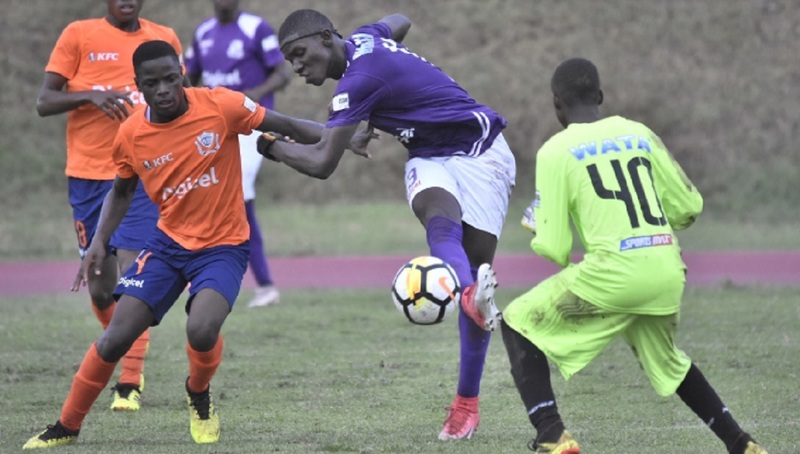 KC enter the Champions Cup as one of the four seeded Manning Cup teams, while STETHS are among the four unseeded daCosta Cup teams. Based on statistics, KC will enter the contest as the favourites. The Ludlow Bernard-coached has reached the semi-finals of the Manning Cup with an impressive record of 13 victories and two draws from 15 games. During that undefeated run they have scored 64 goals, while conceding four. 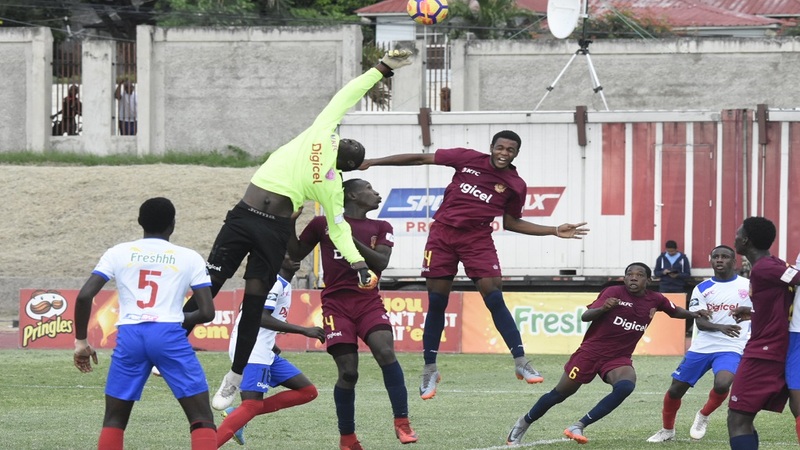 STETHS failed to make the semi-finals of the daCosta Cup but ended their campaign in that competition with a good record of 12 victories, two draws and a defeat from 15 games. During that run, STETHS scored 46 goals and conceded 13. The opening game between St George’s College and Garvey Maceo should also be interesting as the teams also boost good records this season. Garvey Maceo although failing to get into the daCosta Cup semi-finals have chalked up 14 victories and a defeat from 15 games during which they scored 51 goals while conceding five. St George’s College, which have made the semi-finals of the Manning Cup, won 11 of their 15 games while drawing four. During that unbeaten run the Neville ‘Bertis’ Bell-coached team has found the back of the net 48 times while conceding six. Clarendon College vs Charlie Smith High at 6:00 pm.